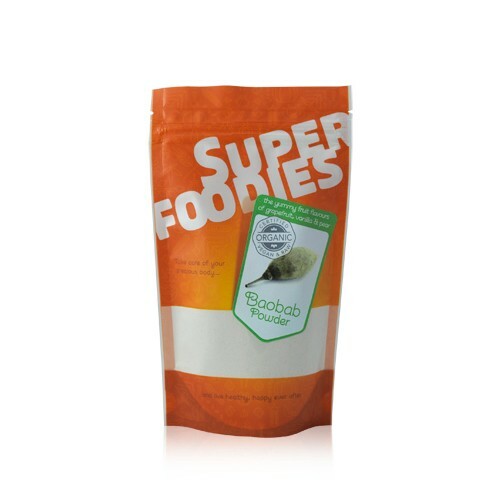 Baobab Powder has a delightful fruity flavour that’s likened to a tempting blend of grapefruit, pear and vanilla. 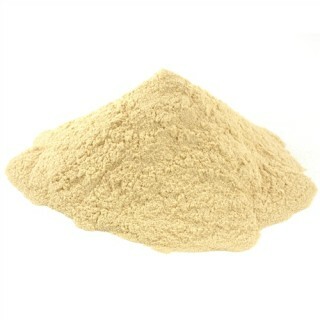 Certified Organic and Raw Baobab Powder. What is Baobab (Bay - Oh - Bab) Powder? Baobab powder is made from the baobab fruit which grows on the baobab tree. The baobab tree is one of the largest trees in the world that’s native to Madagascar and often referred to as the "Tree Of Life". Its leaves, bark, roots, fruit and seeds have all been harnessed for generations, either as a valuable source of food or as a traditional medicine. 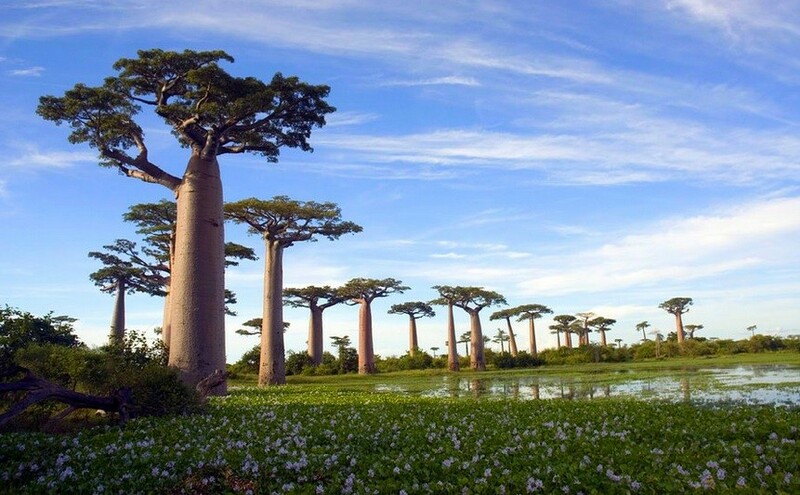 Some baobab trees are estimated to be between 5000 and 6000 years old. Pollinated by fruit bats, the baobab tree produces the baobab fruit, which possess contents of a velvety smooth skin containing a soft, white, powdery pulp and kidney shaped seeds. When the baobab fruit is harvested, the hard outer shell of the fruit is cracked open and the contents are removed. The seeds are then separated from the fibrous material and mesocarp. This is screened to remove further unwanted fibrous and flaky material, leaving a fine powder. Finally, the food grade powder is milled and packaged. 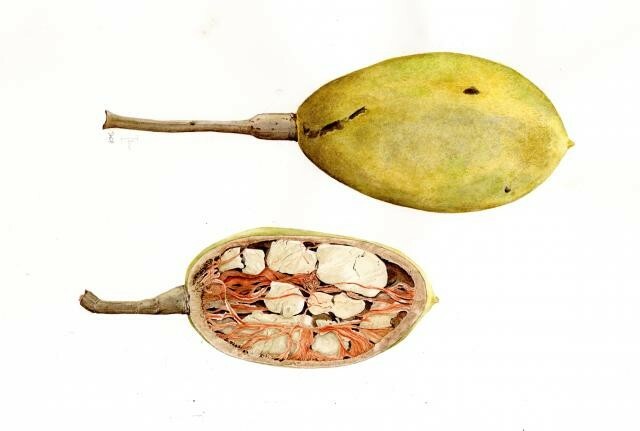 The baobab fruit is considered rich in nutrients, it is often referred to as the ‘King of Super Fruits.’ It is also incredibly unique, because unlike most other fruit, the green, coconut-sized baobab fruit dries naturally on its own branches before harvesting. This helps to ensure that the fruit’s kidney shaped seeds, which are ground into the organic baobab powder that we now know and love, are able to retain an optimum number of beneficial nutrients, including vitamins A, B1, B2, B3, B6 and C, the minerals calcium, potassium, magnesium, iron, manganese, phosphorus, zinc and molybdenum, as well as dietary fibre. This raw and organic baobab powder is dried and processed at low temperatures in order to preserve an optimal number of its naturally occurring nutrients. Baobab powder contains vitamins A, B1, B2, B3, B6 and C.
Contains the minerals, calcium, potassium, magnesium, iron, manganese, phosphorus, zinc and molybdenum. Is certified organic by "Organic Farmers & Growers"
Try baobab powder in your favourite smoothies or they make a very nice addition to raw dessert recipes (such as the baobab and berry tart recipe below) or sprinkle over fresh fruit, for a deliciously sweet surprise! To prepare the base, first place the almonds into a blender and process into a fine crumb. Add in the pink Himalayan salt and dates and blend until nice and gooey. Now gently press the mixture into individual 10 cm cake tins. To make the fruit filling, simply pop all of the ingredients into your blender and process until thick and creamy. Finally, carefully spoon the fruit mixture into the base, top with fresh blueberries or other berries of your choice, and place into the fridge to set for 1-2 hours before serving. Delicious! Baobab powder comes from the fruit of the baobab tree, which is also known as the ‘boab’, ‘boaboa’, ‘tabaldi’, ‘bottle tree’, or ‘upside down tree’. The baobab tree is also called the ‘monkey bread tree’ as its delicious fruit is also a favourite with baboons. The fruit of the baobab tree is often referred to as the ‘King of Super Fruits'. Indigenous people have been using the leaves, bark, roots, fruit and seeds of the baobab as a source of food and traditional medicine for centuries. The baobab tree can store up to 120,000 litres of rainwater in its trunk, providing a valuable source of water for locals during the dry season. Many consider the baobab tree to be scared and believe that the branches, which resemble roots, point to the sky in order to receive heavenly wisdom and strength. Both the bark and fruit of the baobab are used to prepare cosmetic products such as face cream, soap, skin oil, body lotion and shampoo. Baobab powder is rich in vitamin C. The vitamin C in baobab powder contributes to normal collagen formation, for the normal function of blood vessels, bones, cartilage, gums, skin and teeth. It also contributes to a normal energy-yielding metabolism, normal functioning of the nervous system, normal psychological function and the normal function of the immune system. In addition, vitamin C contributes to the protection of cells from oxidative stress, the reduction of tiredness and fatigue, the regeneration of the reduced form of vitamin E, and increases iron absorption. Baobab powder is rich in calcium. The calcium in baobab powder contributes to normal blood clotting, a normal energy-yielding metabolism, normal muscle function and normal neurotransmission. It also contributes to the normal function of digestive enzymes and has a role in the process of cell division and specialisation. In addition, calcium is needed for the maintenance of normal bones and normal teeth, as well as the normal growth and development of bone in children. Baobab powder is rich in vitamin B1. The vitamin B1 (Thiamine) in baobab powder contributes to a normal energy-yielding metabolism, normal functioning of the nervous system, normal psychological function and the normal function of the heart. Baobab powder is rich in vitamin B6. The vitamin B6 in baobab powder contributes to normal cysteine synthesis, a normal energy-yielding metabolism, normal functioning of the nervous system, normal homocysteine metabolism and normal protein and glycogen metabolism. It also contributes to normal psychological function and normal red blood cell formation. In addition, vitamin B6 contributes to the normal function of the immune system, the reduction of tiredness and fatigue and the regulation of hormonal activity. 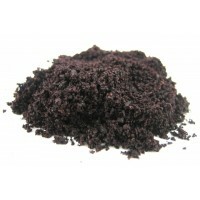 Baobab powder is rich in iron. The iron in baobab powder contributes to normal cognitive function, a normal energy-yielding metabolism, normal formation of red blood cells and haemoglobin, normal oxygen transport in the body and the normal function of the immune system. 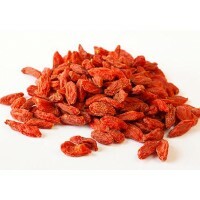 It also contributes to the reduction of tiredness and fatigue and has a role in the process of cell division. In addition, iron contributes to the normal cognitive development of children. 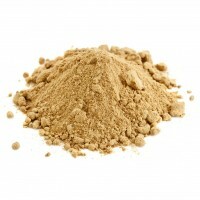 Baobab Powder is renowned for its myriad of nutrients. Relatively unknown to the UK in 2000, Detox Your World saw these benefits and just had to share them! Thus, Detox Your World has been providing the UK the finest quality and certified organic Baobab Powder to the UK for over 10 years. And this fact remains to this day, nothing has changed, except now it is in a eye catching new Superfoodies bag! Do not buy baobab powder if you have an allergy to baobab. Always read the enclosed product information, before choosing to eat baobab powder. Packaged in an area where nuts are processed. Stir into smoothies, juices, shakes, protein drinks, water, desserts, fruit salads, raw chocolate and sweet snacks. Want Baobab Powder? Buy here! The service, delivery and packaging are only surpassed by the products themselves! 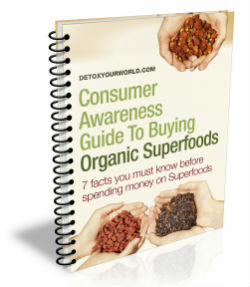 This is the second product I have bought from detoxyourworld, and at first was concerned about prices. But you really do get quality across the board. If I stop using this amazing powder, which I add to my green smoothies, couple of teaspoons at a time, I do feel more sluggish, it has become noticeable. How much is due to Baobab powder I can only share from my experiences.